The Yamaha YFZ450 Quiet Core Insert is designed to lower the db levels of the Classic exhaust systems by as many as 4db with minimal horsepower loss. 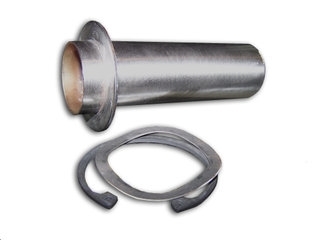 The Quiet Core is only available for the "Classic" model Dasa Exhaust System. *Results may vary depending on modifications to your engine and age of packing material. All levels are based on a slightly modified engine with new packing pillow.